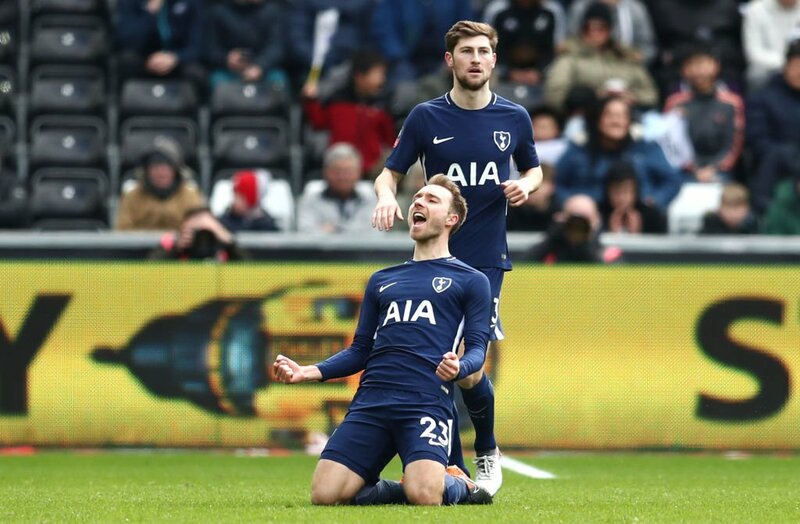 Tottenham Hotspur have qualified for the last four of the FA Cup after they defeated Welsh side Swansea City 3-0 in their quarterfinal clash at the Liberty Stadium earlier on Saturday. Danish playmaker Christian Eriksen was the star of the game as he scored a brace either side of halftime and Erik Lamela’s goal to give the North London side a comprehensive win. The dominant win ensures that Mauricio Pochettino’s men qualify for the semifinal for a second successive year in their quest to end a 10-year trophy drought.